Though Paramount and Platinum Dunes had initially scheduled Friday the 13th for release in October of 2017, that sought-after corridor ultimately belonged to another horror title: Heilstätten Happy Death Day. Blumhouse and Christopher Landon’s sleeper hit took the best elements of Groundhog Day and Scream and wrapped them all up in a thrillingly entertaining package – even if the final product proved too The Row familiar for some. And in typical Blumhouse fashion, Happy Death Day exceeded all expectations at the box office, grossing over $ 100 million on a production budget of just $ 4.8 million. That’s an impressive turnaround in and of itself, and to no surprise, it means that we’re now getting a sequel. Or at least, we think we are. 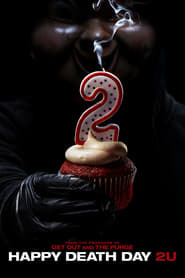 Nothing’s been officially announced just yet, Bloody Disgusting Happy Anniversary reports that a production listing has revealed that Happy Death Day 2 will head in front of cameras this May, with shooting taking place in New Orleans. Furthermore, Christopher Landon will return to both write and direct.